It’s the neighbourhood gems that are the hardest to lose, and The Wired Cup fits that description. Dave and Ann Jackson, owners of the Strathearn mainstay, shared on Facebook last week that they will be closing their doors effective June 1, 2019. The owners were interviewed in early February when TransEd’s proposal to close a stretch of 95 Avenue came up. At the time, Dave Jackson was quoted as preferring the annoyances of piecemeal closures compared to a total closure. Toast Culture seems to be Edmonton’s first establishment built around “fancy toast”, a trend seen in other cities. Expected to open in late spring, it’s taking over the space formerly occupied by Bru at 11965 Jasper Avenue. The Downtown location of Montreal Hot Dogs at 10503 104 Avenue has closed. Cafe Linnea is hosting a Cabane A Sucre (Sugar Shack) on April 13, 2019. Tickets are $48 for adults and $25 for children 12 and under. Indulgence returns on June 10, 2019. Tickets go on sale May 1. Early bird tickets for the annual Feast on the Field on August 14, 2019 are now available. Tickets are priced at $175. Crystal was disappointed the service standard didn’t match the food quality at The Local Omnivore. Graham was charmed by the fare at neighbourhood bistro Belgravia Hub. The Journal found comfort and a certified gluten-free kitchen at the Whyte Avenue institution Continental Treat. Comedian Tim Mikula offers a “fresh” take on Hawkeyes Too. The City Market confirmed their hours after they transition into their new year-round indoor space this spring: they will be open 2 days per week, Saturdays from 9am-3pm and Sundays from 11am-3pm. Courtesy of Sharman, Linda has an Ultimate Guide to Gluten Free Eating in Edmonton up on her blog! Avenue Edmonton’s new and notable restaurants this month are Pink Gorilla and Partake. Last week’s Fast Food webisode features a recipe for empanadas from Chef Mariel Montero of Huma Mexican Comfort. In their latest podcast, the Tomato Radio interviews the team behind Meuwly’s. A recent episode of entrepreneurial-focused podcast called Canada’s Podcast interviewed Sabor, Bodega, and Urbano Pizza owner Christian Mena. He mentions working towards opening a fourth Bodega. Vancouver-based Chef David Hawksworth is in town this week at NAIT’s Hokanson Chef in Residence. Liane spoke with him about some of his experiences and food favourites. Congratulations to Karen Anderson and Matilde Sanchez-Turri, whose book Food Artisans of Alberta won a Canadian Gourmand Cookbook Award. They now advance to the Gourmand Best in World Cookbook competition. 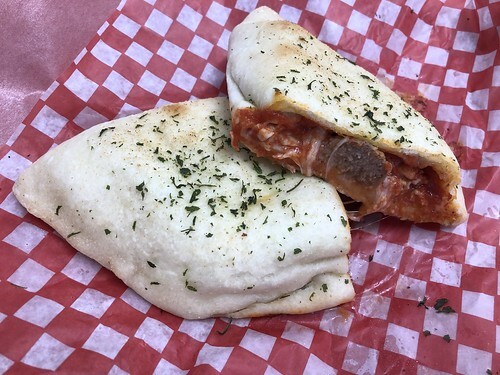 One of the benefits of returning to work is being surrounded by some great food options, such as Battista’s Calzones. Now that we’ve limited our dining out experiences, I find more and more that I’m just drawn to familiar restaurants (either that, or this is a sign of age, haha). 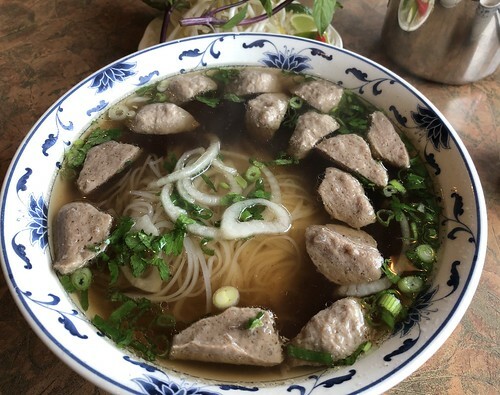 Over the weekend, Mack and I returned to Tau Bay with Emily to satisfy our pho craving.